IT may be six years away, but train buffs are already beside themselves as they await the just-announced opportunity to ride part of a "secret section" of London's vast subterranean rail system, one that operated for 22 hours a day, seven days a week… yet in its 76 years' lifetime never carried a single passenger. 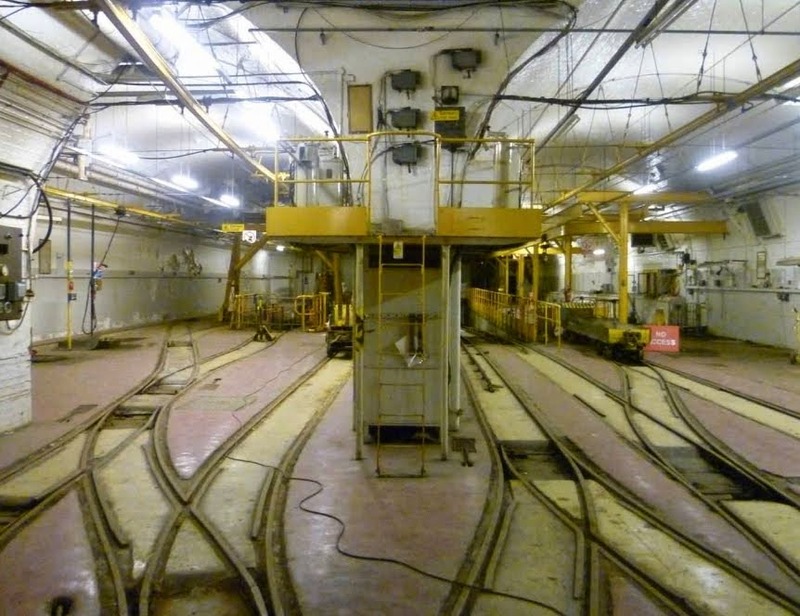 And while originally comprising some 10.5km of tracks in tunnels that in places ran almost parallel with those of London's famed Tube, it's going to take all those six years to re-open just 1km of track and to totally refurbish an original station and control room. 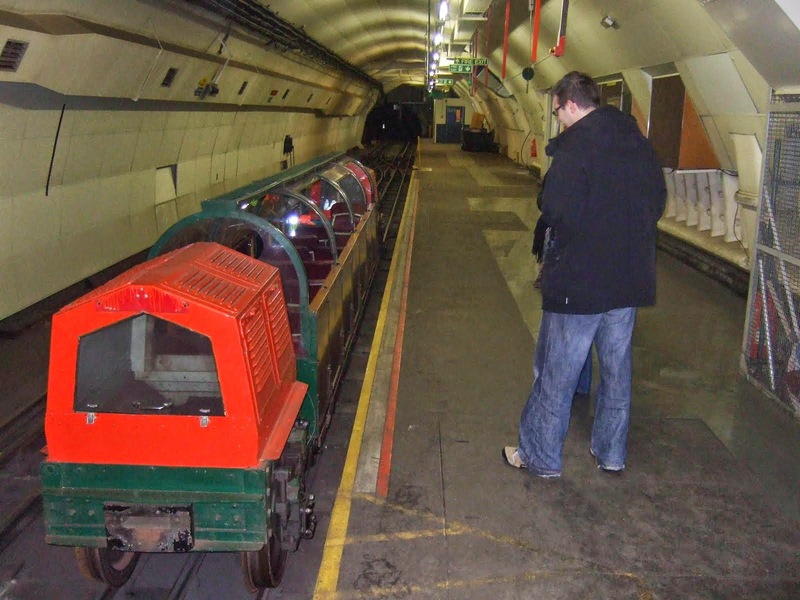 Literally a ghost-train, this line employed hundreds of people between 1927 and when it closed in 2003, and was built by the British Post Office to carry mail a deep 21m under London's CBD on driver-less trains that ran on narrow tracks just 610mm (2ft) wide, and inside tunnels a mere 2.7m in diameter. Dubbed the "Secret Tube" and "Mail Rail," at its peak it had eight subterranean stations that included two huge mail sorting centres, and a fleet of remote-controlled mini electric locos that could reach an amazing 64kmh as they hauled 4-billion letters, packages and parcels a year in little wagons to those stations for delivery across London's CBD, and to other centres for distribution UK- and world-wide. Conceived to run mail faster than land transport from Paddington in London's west to Whitechapel in its east, plus a half dozen points in-between, work started in 1915 with the line being laid in pre-formed iron "rings" that were lowered down vast vertical shafts and riveted together in tunnels dug through the clay those 21m underground. 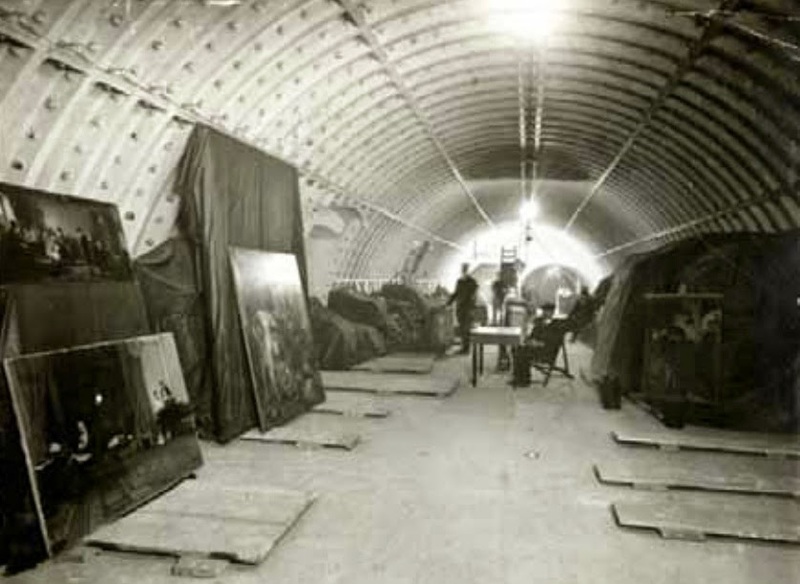 But with WWI labour and materials shortages, work was soon suspended – and with the fear of German Zeppelin air-raids, the already-built tunnels were used as safe-keeping for the treasures of the British Museum. Construction resumed on the line in 1924 and the London Post Office Railway finally opened in time for the delivery of Christmas parcels in December 1927, and letters a few weeks later; thirty-one years on, in 1958, an additional line diverted out to Rathbone Place. But in 2003 the Post Office deemed Mail Rail to be uneconomic, closing and mothballing it on May 31 of that year. It's virtually lain vacant since, although several "urban exploration" and rail enthusiast groups have managed to smuggle themselves inside to explore the tunnels and abandoned stations – finding and photographing workers' uniforms still hanging on pegs in old staff rooms, kettles on rusted stoves, bulky walkie-talkie radios, original train-control rooms… and despite eleven years dust and rust, 70 of the tiny electric locomotives and their mail wagons in surprisingly good condition. And in 1991 one station and an original loco and a wagon were revamped as "a private railway below The Vatican" in the Bruce Willis movie flop, Hudson Hawk. 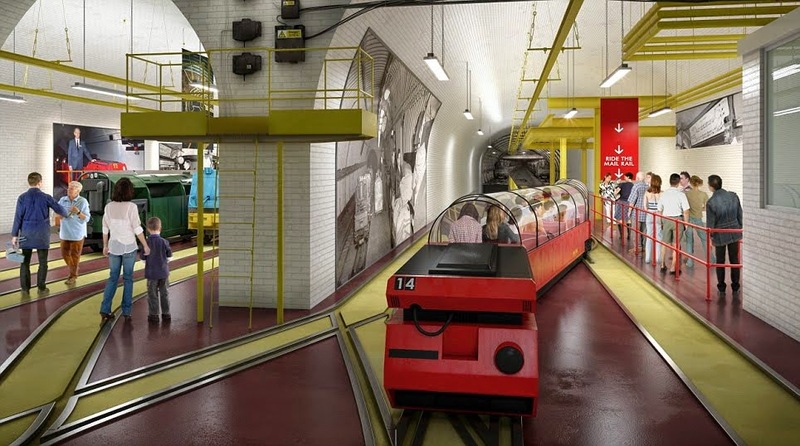 Now London's Islington Council has approved a short section of the Mail Rail being restored and opened to tourists at what was known as Mount Pleasant Station, and which during its heyday was one of the biggest mail sorting centres in the world. And interestingly, like all other stations Mount Pleasant was closer to the surface than the 21m deep main Mail Rail line… so that the driver-less mail trains would be assisted in slowing-down with the 1-in-20 incline into the station, and enjoy a speedy get-away with the 1-in-20 decline. The British Postal Museum and Archive (BPMA) that's behind the tourist train venture, is having original mail wagons refurbished and fitted with seats, and also with plastic domes for passengers to take-in the tunnel and station "views." As well, a brief recorded history of the Mail Rail will also be played during the 1km return-loop ride from Mount Pleasant. 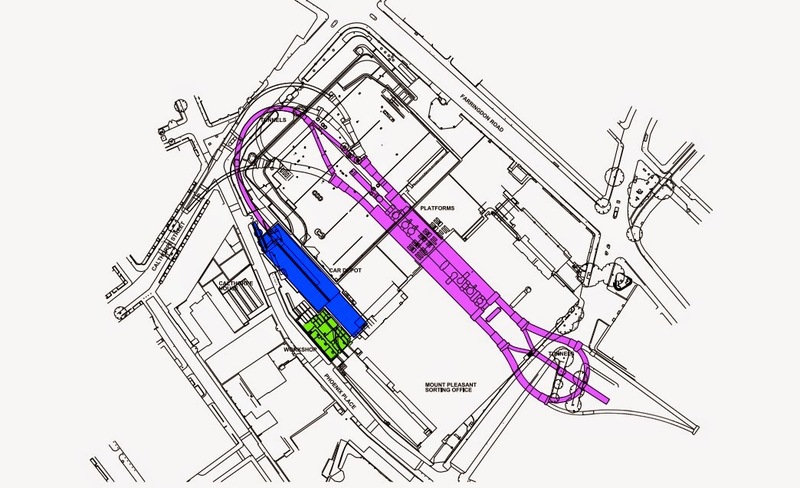 And while it will be 2020 before all this comes about, the BPMA has already started building a new museum that will open four years earlier, in 2016 in what will be a totally refurbished Mount Pleasant Station and control room. Hundreds of artefacts already put aside for the new Museum include flintlock pistols used by guards on19th century Royal Mail coaches, telegrams to and from the Titanic, and items of evidence produced during the trials of Britain's 1963 Great Train Robbers. 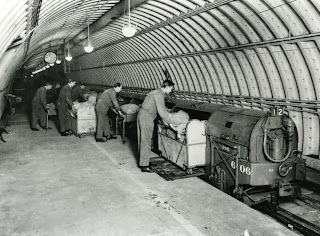 LOADING mailbags onto London's 'Secret Tube Mail Rail' in mid last-century. PART of the maze of narrow gauge Mail Rail tracks which once ran under the streets of London. AND how the refurbished Mount Pleasant Station in London's CBD could shape up as on opening to train buffs in 2020. AN initial prototype of what the new 'tourist carriages' could look like based on an historic wagon. DURING WWI the 'Secret Tube' was also used for safe-keeping of the treasures of the British Museum during German Zeppelin air-raids. 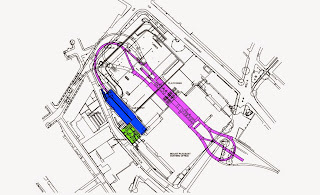 SITE plan for the 1km loop from the original Mount Pleasant Station and including the vast new British Postal Museum.